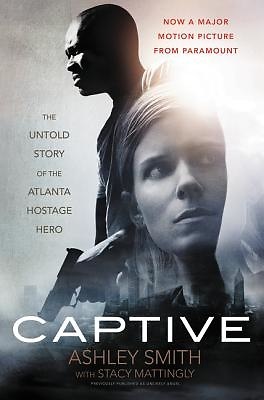 Now a stirring movie from Paramount Pictures--starring Kate Mara (House of Cards and Fantastic Four) and David Oyelowo (Selma)--this inspirational, news-making life story of the young female hostage who in 2005 single-handedly talked the infamous Atlanta courthouse killer, Brian Nichols, into surrendering peacefully by gaining his confidence through her prayers and personal faith and by reading passages to him from the Christian blockbuster A Purpose Driven Life. In March 2005, Ashley Smith made headlines around the globe when she miraculously talked her way out of the hands of alleged courthouse killer Brian Nichols after he took her hostage for seven hours in her suburban Atlanta apartment. In this moving, inspirational account, Ashley shares the details of her traumatic ordeal and expands on how her faith and the bestselling book The Purpose-Driven Life helped her survive and bring the killer's murderous rampage to a peaceful end. Like her captor, Smith too has faced darkness and despair. Seeking a new life, she moved to Atlanta, got a job, enrolled in a medical assistant training program, and was beginning to find her way to becoming the kind of mom she wanted her little girl to have. Then Brian Nichols took her hostage. Just hours earlier, he'd allegedly shot to death a judge, a court reporter, a deputy, and a federal agent and escaped in a stolen vehicle. Now she found herself face-to-face with Nichols, a desperate, heavily armed man with nothing left to lose. Juxtaposing the minute-by-minute tale of her experience with the tragedies and triumphs of her own life, Captive is a riveting story that will leave no reader untouched.